Step into one of our two cosy standard suites with their high ceilings and exposed beams. 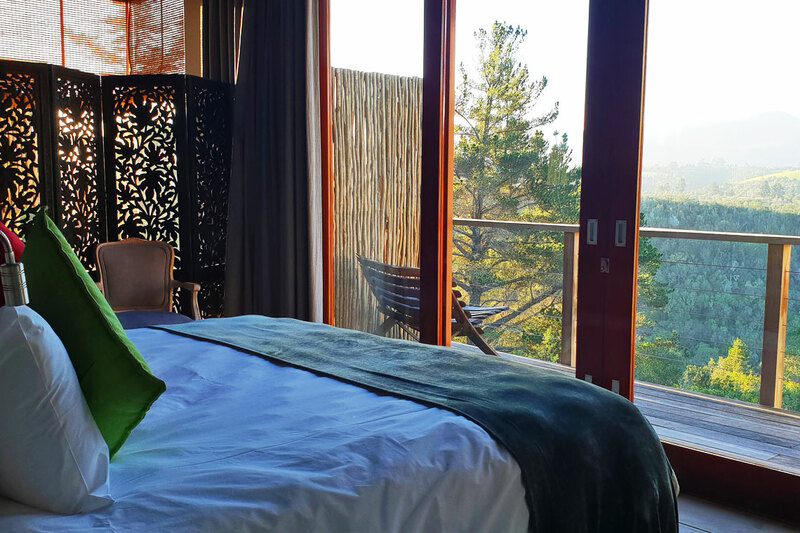 With private deck areas in each suite and a sweeping view of the valley below. The stone bath in the corner of the suites call to guests to relax in while overlooking the view. 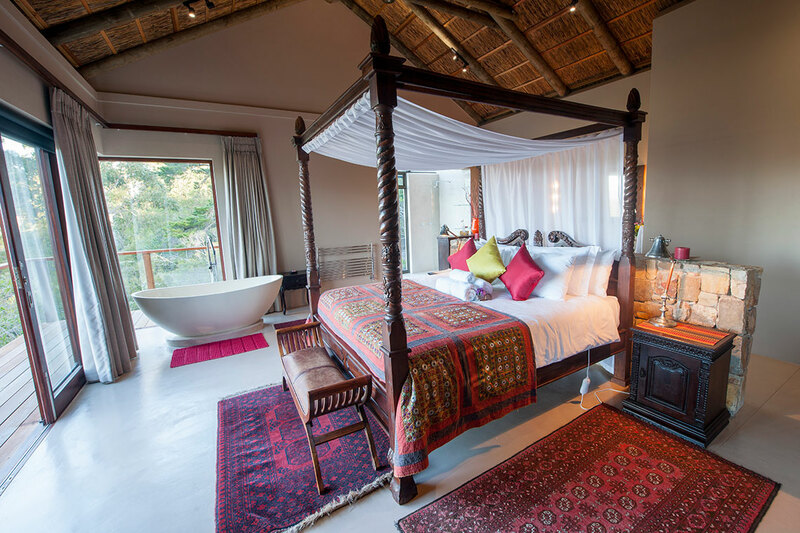 Romantic and inviting, our honeymoon suite in the main lodge building is the perfect place to unwind. The spacious deck area invites you to relax and enjoy the breathtaking views that this suite offers. 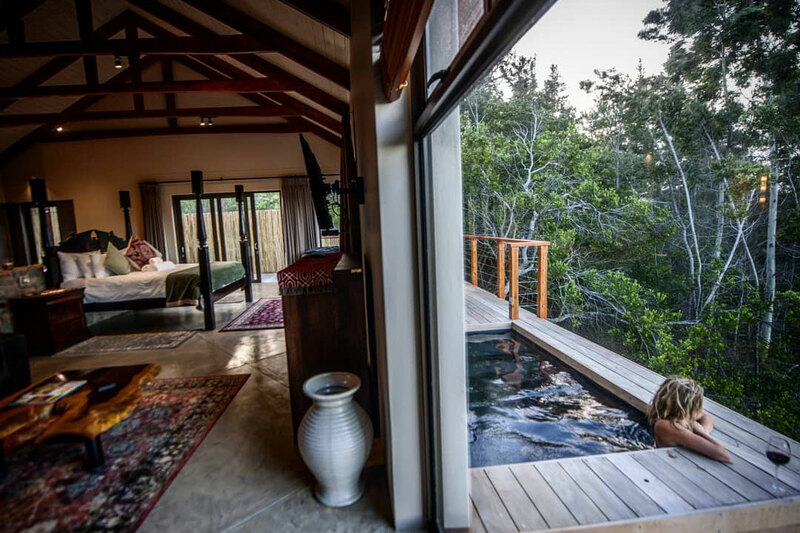 The stone bath calls to guests to relax in while overlooking the valley below, and our indoor/outdoor shower is the perfect place to soak up the surrounding nature. 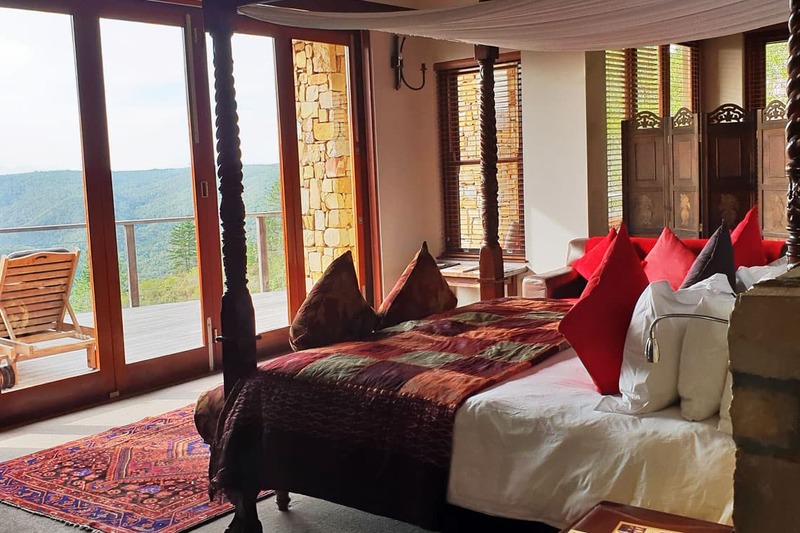 Charming and romantic, our two free-standing honeymoon suites delight everyone who stay in them. Each situated in their own building, they are lovely and private for those guests who enjoy having some space for themselves. Their cosy deck areas invite you to relax and enjoy the breathtaking views that these suites offer. Step into indulgent luxury with one of our two gorgeous flagship suites. High ceilings and large windows create the feeling of being immersed in nature. With a fireplace to heat up the entire suite on cold winter days, an air of cosiness surrounds you when you enter.